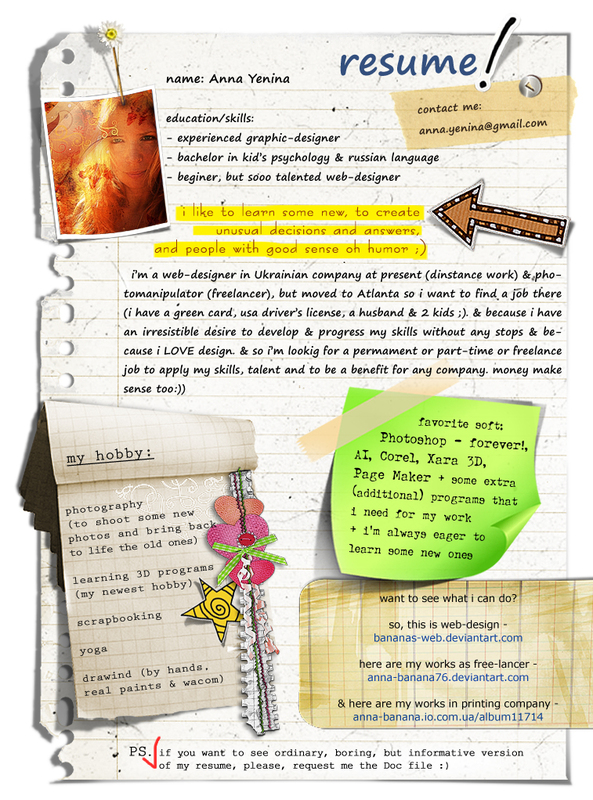 Is recruiting via social media effective? And how do you determine wether those efforts are succesful? That’s the question being asked as more and more businesses are investing in increasing amounts of social media recruiting. With no standard means of measurement, there’s a wide variety of goals and metrics used to define the ROI of social strategies. Currently 64% of companies said they have succesfully hired via social media. Already 80.2% of companies are using Social Media to recruit and another 8.7% of companies are planning to begin this year (results of Jobvite survey, July 2011). Click here to view the full social media marketing ROI infographic, developed by MDG Advertising. This infographic helps clear up the confusion by outlining the objectives, benefits and factors that affect the success of social media marketing. 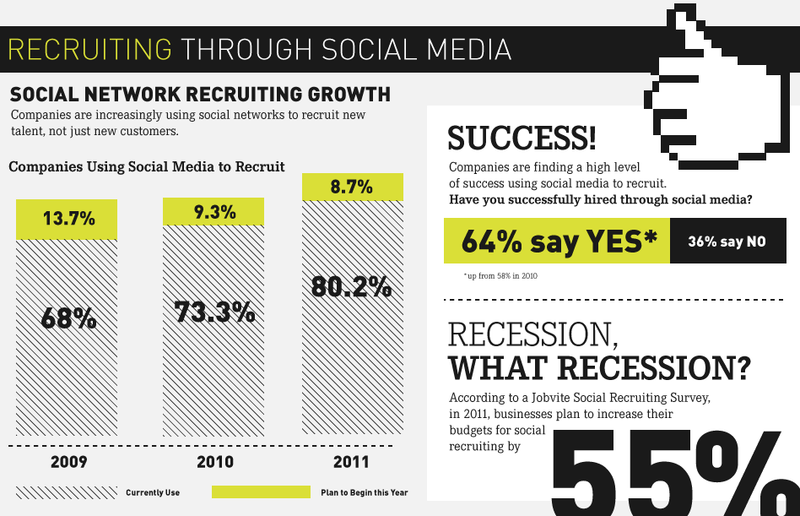 64% of survey respondents have hired through social networks in 2011, vs. 58% in 2010. 55% will increase their budgets for social recruiting and 30% for referrals, while only 16% will spend more on job boards. Survey respondents continue to rank referrals as the most highly rated source for candidate quality. Jobvite Index data confirms this quality assessment: 1 in 10 referral candidates are hired compared to 1 in 100 general applicants. 64% of surveyed companies use at least two networks in their recruiting efforts, and 40% use three or more. The Jobvite Index found that over the last six months 73% of all social hires came from LinkedIn, 20% from Facebook and 7% from Twitter. However, 43% of social referral hires on Jobvite came from Facebook; LinkedIn generated 41% and Twitter produced 16%. LinkedIn users received 52% of all social job referrals, while Facebook and Twitter each received 24%. Wow, what a great infographic! I found each of these statistics enlightening. I think it’s interesting to see that so many companies are starting to lean toward the online, social networking approach for hiring purposes. Plus, the data proves just how many people are getting hired because of Facebook, Twitter, LinkedIn, etc. Such an interesting infographic!this proves how Social Media is increasingly becoming popular in today’s world. It seems there is lot of potential in Social Media area where one can prove their ability to gain maximum ROI.